Description Do jumps and stunts to your favorite music in this retro-styled 3D game. 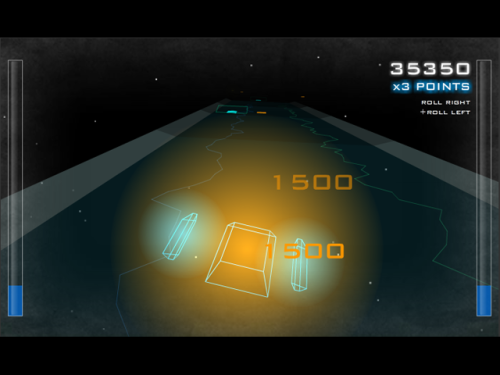 Vector Stunt lets you load your own mp3s and uses the music to influence gameplay. Controls Use the LEFT and RIGHT arrow keys to steer. Hold down keys combinations when you hit a jump to perform stunts. Perform different stunts while chaining jumps to earn point multipliers. Jumping on the rail does not count as a stunt unless you chain it from a ramp jump. If you bounce on the rail more than once you will lose your multiplier. Press ESC or P to pause and see the instructions.